Lars Seier Christensen is a Danish business man, entrepreneur and investor, born in Copenhagen in 1963. He has lived in the St Gallen Canton in Switzerland since 2010. Mr Christensen is married and has five daughters with his wife, Yvonne. Mr Christensen has a very wide range of interests and activities outside of business, ranging from philosophy and politics over gourmet, fine wine and art to sports and charity. He is an avid commentator on political, society and business affairs and hosts his own primetime TV show “The Road To Seier” (“Vejen Til Seier”) on start-ups and investment. Mr Christensen is a member of The Mont Pelerin Society, a board member of The Ayn Rand Institute, and supports various classic liberal and libertarian organisations and causes. After high school, Mr Christensen moved to Spain to open his first business, a restaurant. This early venture into the startup world led to a lifelong passion for the restaurant business, both as a discerning guest and as the owner of several gourmet restaurants, most notably Denmark’s first three Michelin star restaurant, Geranium, and hi tech restaurant Alchemist, opening in 2019. After Spain, and a brief return to Copenhagen, Mr Christensen embarked on a financial services career in London in 1988 with particular focus on foreign exchange and derivatives trading. 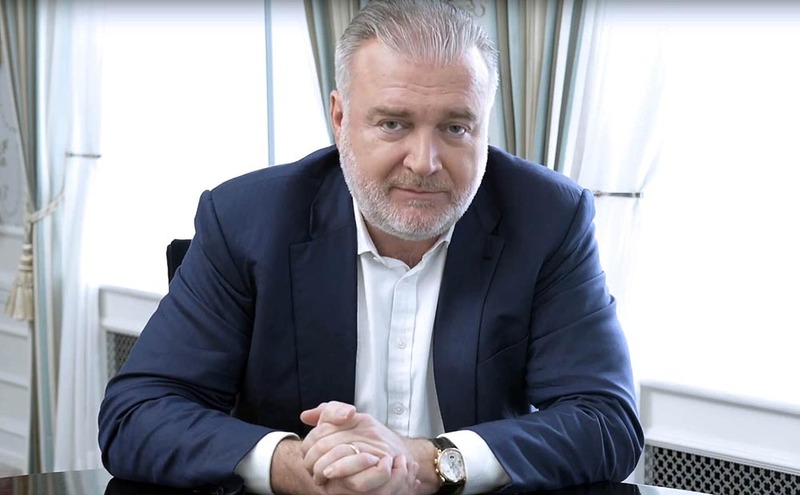 In 1992, he co-founded what was to become Saxo Bank, a financial multi-asset trading and investment platform, that is both offered directly to sophisticated private investors and smaller institutions, as well as to other financial institutions as a white label infrastructure. In 2016, after 20 years as co-CEO of Saxo Bank, Mr Christensen stepped down to focus on other investments through his private family office, Seier Capital. Seier Capital is 100% owned by Mr Christensen, and does not manage capital for other investors. In 2018, Mr Christensen sold his remaining stake in Saxo Bank to the Chinese automotive conglomerate Geely Holdings and the Finnish finance company Sampo. Mr Christensen and Seier Capital, with combined assets in excess of EUR350m, has invested in a broad range of companies, including most notably the foundational blockchain protocol, Concordium, and the entertainment company behind Scandinavia’s premier football club, F.C. Copenhagen, 12 times Danish champions. Other investments can be seen in the Portfolio section of this web site. Seier Capital is actively seeking investment opportunities, both in early stage preferably with proven traction and more mature businesses. Seier Capital will consider quality investments in any industry, but has mainly invested in technology and lifestyle companies in the past. If you wish to present an opportunity to Mr Christensen and his team at Seier Capital, please submit more information through the Seek Investment section of this website.